Every new fast, black car for the past 25 years has been greeted by the "Darth Vader, Your Car Has Arrived" cliché. But who wants to be Darth Vader? Let's be real: Everyone really wants to be Han Solo, in all his roguish charm. And every proper Corellian needs a proper vehicle. What would Han Solo drive? The Millennium Falcon may have been the fastest ship in the galaxy but it was — to be honest — a pretty clunky affair that required constant maintenance. But when it moved, it moved. 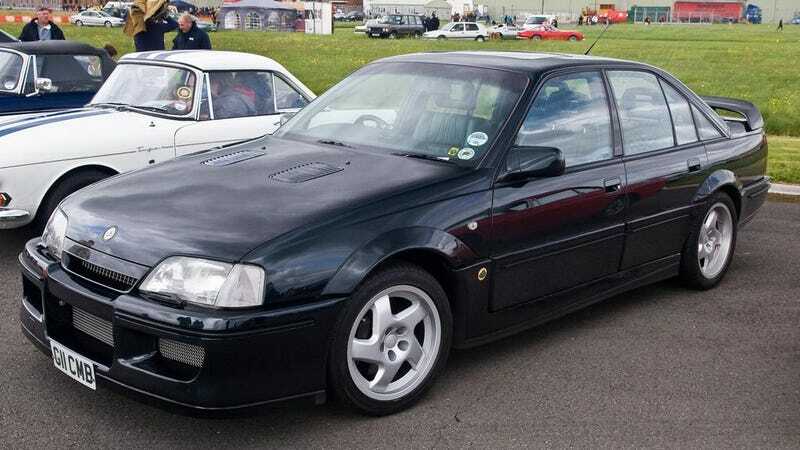 So did the early-nineties Lotus Carlton/Omega twins, which took GM of Europe's none-too-solid sedan and stuffed it full of a torque monster twin-turbo inline-six that would have set an impressive Kessel Run time (or at least topped out close to 180mph). The dark green paint would have helped blend in with traffic to slide past Imperial checkpoints, there was plenty of room for Jabba's spices or charter passengers to Alderaan, and if it wasn't the most luxurious machine it certainly had its own racy style of the Force.